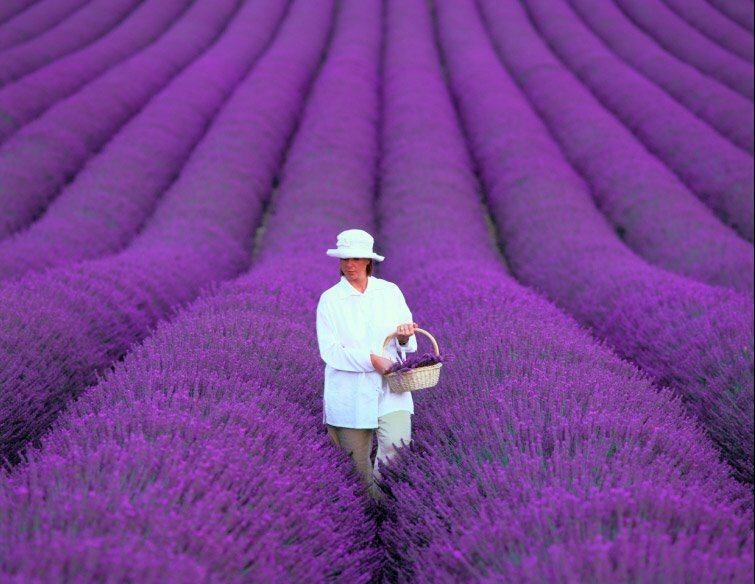 Lavender essential oil is one of the most popular essential oils because of its variety of uses and healing properties. People have used lavender oil for headaches, stress, tension, burns, pain, infections, wounds, and high blood pressure benefits are many. Mothers have even been known to use lavender scented lotions and soaps on children to help them relax and sleep longer at night. If you're intrigued by all of the things that this wonder oil can do, keep reading to find out more about lavender oil, benefits of using and its healing abilities. Lavender oil is great for skin because of its antifungal and antiseptic properties; it is often used to treat skin problems like burns, wrinkles, cellulite, stretch marks, rashes, inflammations, acne, cold sores, hives, bug bites, stings, ring worm, psoriasis, and when lavender oil is combined with chamomile, it can treat eczema. It is even used to heal cuts, a variety of burns, and other wounds as it helps with the formation of scar tissue. The anti-inflammatory and analgesic properties will lower swelling, itch, and pain, while the healing properties aid in tissue recovery. Lavender oil has a great deal of pain relieving properties for your muscles. Any pain caused by tense muscles, backaches, sprains, sore muscles, rheumatism, joints, and muscular aches can be remedied by getting regular massages and/or baths with lavender oil. The uses for lavender oil doesn't stop with the body because it keeps going with household cleaning. With the flawless antiseptic properties, it works great as a disinfectant for toilets, counters, floors, tubs, and sinks. Add a little baking soda to a lavender-soaked sponge, and clean toilets, tubs, and sinks. Rinse the sponge well, and move onto the floors and countertops by filling a bucket full of hot water. Once you’ve done this, add a generous amount of lavender oil to the water, and clean the surfaces like you would with any other cleaning solution.